This is where we'll keep you up to date on all the new stuff we're werking. Thank you for visiting the Munson-Cox Senior Blog. Here you will find blog posts about senior pictures, specials and giveaways, how to plan your special day, and tips for achieving the best photo shoot possible. As a Senior Photographers, we have decades of experience shooting seniors. Our Senior Pictures Gallery is a great place to view past photo shoots and get ideas for your session. We’re giving away 2 tickets to ED SHEERAN and today is your LAST day to enter! The giveaway closes at 5:00 pm today. Winners will be announced tomorrow, Friday, May 24th. Scroll down to see the rules to enter and check out more of our amazing 2019 Seniors along the way. Make sure to fill out the entry form and follow us on instagram & twitter to enter. Bonus entries for sharing this link! Any high school student can enter and win! If you book your session during Senior Week you get $100 off your June senior session. There’s still a few spots left! 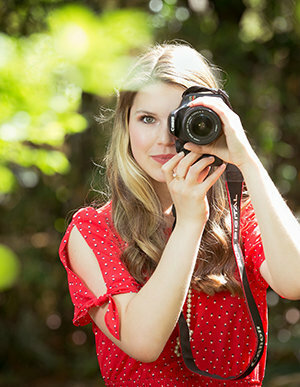 We want you to look GOOD in your senior portraits! That’s why we include a styling consultation with all our senior sessions. This week we’re also giving away FREE clothes & accessories with TWO $50 gift cards to The Impeccable Pig. More details how to enter below, in the meantime check out some of our super stylish 2019 Seniors. THERE’S ONLY 6 DAYS LEFT OPEN IN JUNE FOR SENIOR SESSIONS! If you book your session during Senior Week you get $100 off your June senior session. the Coyote Drive in, let’s make this a Theater Tuesday and put some of our thespians on display. You’re likely to catch Ava Amlong strolling down the Keller High School halls, in her newsboys cap, humming show tunes. If you book your session during Senior Week you get $100 off your June senior session! We have already booked up 3 weeks in June so there are merely a few spots left. We are SOOOO excited that Senior Week is here! We will be featuring some upcoming Seniors this week as they are getting ready to enter in to the graduating year. Lauren Knight will be a Senior at Mansfield High School and her smile is seriously contagious! In fact, she wasn’t sure she could pull off a serious look, but the shot above begs to differ! Scroll down to see some more from her amazing session. And on a side note, we have some fantastic prizes to give away! $50 gift cards to The Impeccable Pig boutique. Our Grand Prize is 2 tickets to Ed Sheeran at At&T Stadium this October!